NTT Docomo has begun the world’s first mass market deployment of mobile phones with NFC tag reading capabilities. Sixteen of the operator’s new range of mobile phones and a number of existing handsets will be able to perform both Osaifu-Keitai mobile contactless payments functions and NFC tag reading from next week. 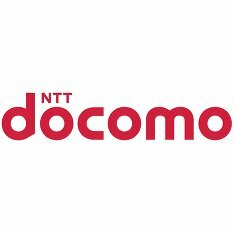 Japanese mobile operator NTT Docomo has built NFC tag reading capabilities into sixteen of the new mobile phone models it announced last week and is to make the functionality available to a number of existing phones which support the Osaifu-Keitai mobile payments service via a software download. The move marks the first time that mobile phones equipped with the ability to read NFC tags have been deployed in volume anywhere in the world. The phones will be able to read FeliCa Lite RFID tags, Type 3 of the four tag types that meet the NFC Forum’s tag reading standards. “NTT Docomo developed ‘iC Tag Reader’, a mobile software application that allows users to retrieve data stored in a FeliCa Lite tag, which is compliant with the NFC Forum’s Type 3 standard, just by waving a mobile wallet (Osaifu-Keitai) handset over it,” an NTT Docomo spokesperson has told NFC World. The iC Tag Reader app will be available for customers to download from 15 November. Osaifu-Keitai was developed and launched by NTT Docomo in 2004. It uses a technology similar to NFC in terms of enabling consumers to make payments in stores and on public transport by simply touching their mobile phone to a POS terminal. Osaifu-Keitai is built on a proprietary technology, however, with chips embedded in mobile phones being manufactured exclusively by Sony FeliCa. And, until now, the phones could function only in card emulation mode. Rival operators KDDI and Softbank Mobile also currently provide Osaifu-Keitai compatible mobile phones to their customers but it is not yet clear if the tag reading application will also be made available to their subscribers. In July, the two operators signed a deal that will see them moving away from NTT Docomo and Sony FeliCa’s proprietary technology and working with SK Telecom to introduce NFC standard technology to both Japan and Korea. NTT Docomo is also expected to make the switch to NFC standard technology in the future, although the new NFC tag reading service may enable it to delay the move. A report in Japanese business newspaper Nihon Keizai Shimbun last week, for instance, suggests that the operator is now looking to move to NFC in 2013. I have heard that all Osaifu-Keitai phones are capable of Read/Write, Card Emulation and P2P modes using FeliCa technology. The phones just require a software upgrade to enable these functions.